Do you ever want to know what the hero of a romance novel is thinking? 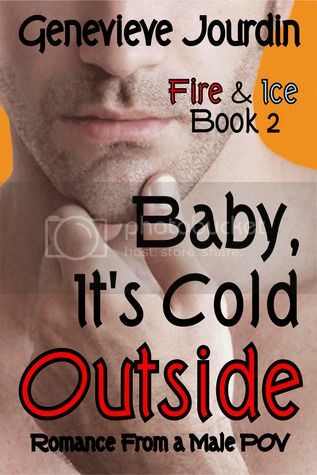 Where Just Add Heat tells Justine's story, Baby, It's Cold Outside gives you Carter's version of the same events. It's true what they say; men and women don't think in the same way. The difference is all in the perspective! Carter's life is chugging right along. Career? Check. Living with the love of his life? Check. Future on track? Not so fast. Suddenly, his perfect life is thrown upside down when Justine's accident wipes her memories. She doesn't remember that they're in love and Carter has to do everything he can to help her regain her memory or his own Happily-Ever-After is in jeopardy. What a hell of a weekend for this poor guy. I couldn’t picture it. Wondering if you’d lost everything on what should have been one of the best, most exciting days of your life. And the author lays it out so realistically that you can’t help but feel for the characters. This story being a romance from the male POV is just phenomenal. It’s an awesomely heart wrenching love story, but with a bit more kick. None of the frilly, girlie stuff here. The story draws you in without asking and doesn’t let you go. Although Jourdin’s writing style remains consistent from the first novel in the series, but yet changes to accommodate Carter as the POV character. It’s quite unique. Character development in this novel is minimal, however, the characters are so well laid out in the first novel in the series that it would be redundant here and would actually break the smooth flow of the story. We do, however, find out more about Carter and his view on the other characters in the novel. All I have to say right now is that I F-IN LOVE this story. It was the embodiment of awesomeness. Taking this unique storyline, that was already atypical for the genre, and telling it from the male POV just pushed it over the top. Romance from a male P.O.V? Sounds intriguing. Also an interesting concept to write from both perspectives. Will have to check them both out!